Where I grew up in New Zealand, Hallowe’en was never very big until 5 or 6 years ago, which was of course around the time that I had well and truly grown out of dressing up for lollies. The little girl I look after has been brought up with the big American Hallowe’en traditions so she had been nagging me about what I was planning on doing for the night. Butternut pumpkins were on special at the supermarket, and they are usually ridiculously expensive, so I took it as a sign, bought two and made pumpkin soup. I made a huge pot so I could freeze some for winter. 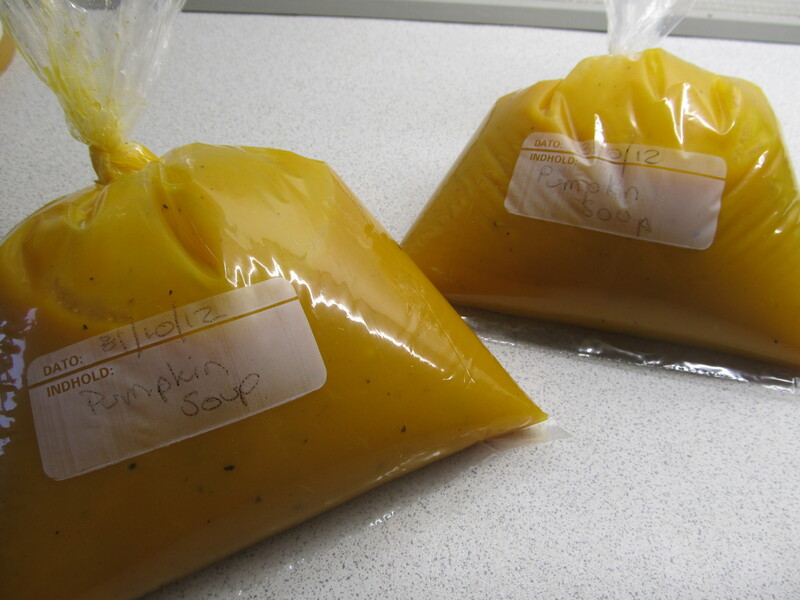 The two pumpkins made a lot more soup than expected so I have halved the recipe I used. Cut the potatoes and pumpkin in to small pieces, around 2cm thick. Thinly slice onion. Add butter and oil to a large pot. Cook onion until it starts to get soft. Add the garlic. Cook for a further one minute, taking care not to burn the garlic. Add the potatoes and pumpkin and stir in to the onion and garlic. Add the chicken stock. Put the coriander, curry, bay leaves, pepper and cheese rind (if using) in to the pot. Stir in. Cover and allow to simmer until the potatoes and pumpkin are soft. Remove the bay leaves and cheese rind (I left mine in by accident and you couldn’t taste it, so leave it in if you wish). 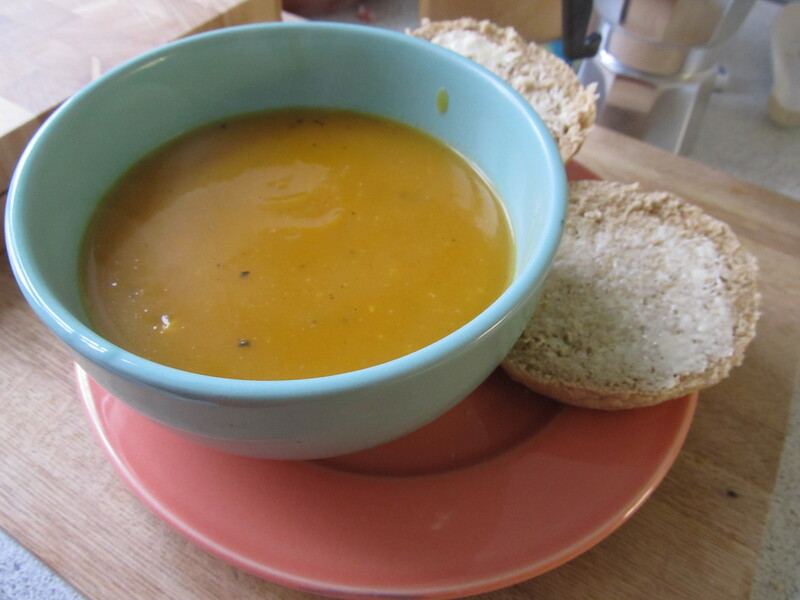 Using what ever is easiest, wizz the soup until there are not big lumps left. If using a hand wizzer, I found it easier to do in batches. Put back on the heat and season to taste. Add cream if you want a creamier taste but I prefer it without. Serve with crusty bread. 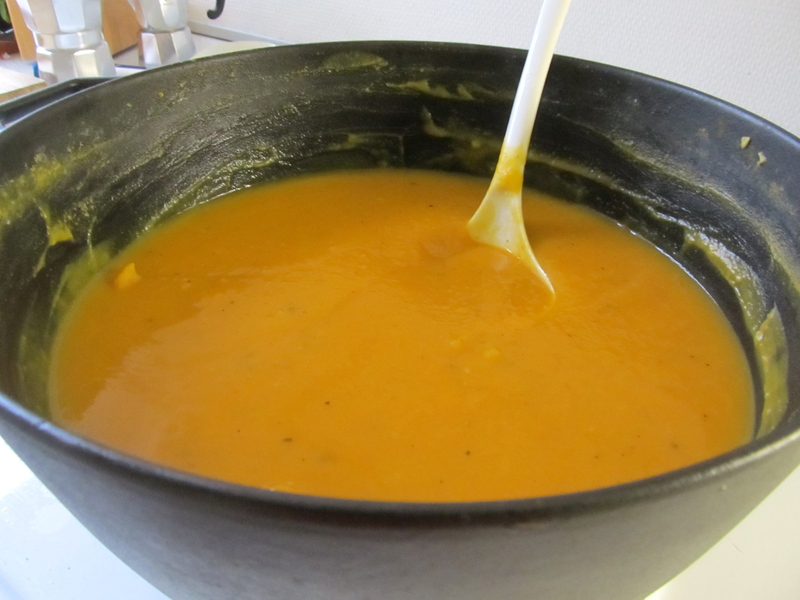 You are currently reading Hallowe’en Soup at A La Amelia.